The PEGASEM PFS pedal force sensors have been developed for homologation tests of vehicle brakes. 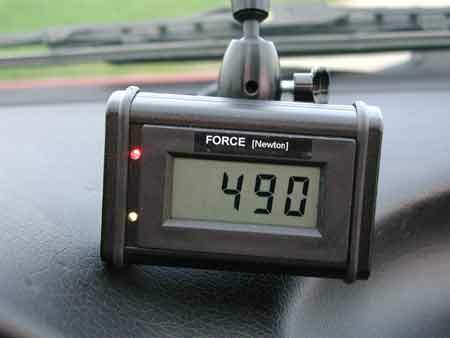 Many testing procedures demand the exact recording of the pedal force applied during a brake test, e.g. ECE R-13, ECE R-90, DIN70028, MVSS135 , MVSS121. 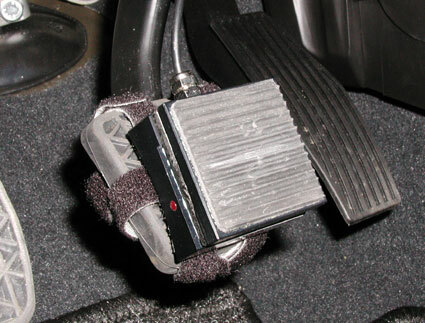 To mount the sensor, a separate Velcro® “spider” is fitted around the pedal. The sensor is then easily attached to the top of the “spider”. The Velcro® “spider” attaches the sensor to any pedal size, making it suitable for passenger cars and commercial vehicles. The sensor comes with a built in amplifier and has a digital output for triggering external measurement equipment. The trigger level is 5% of the full scale and can be programmed before delivery. The optional display can be easily fitted to the windshild by means of a ball joint and a suction cup. It can be supplied together with the sensor directly from the DAQ-system or from a separate power input. PEGASEM PFS Sensors stand out from other brands because they are robust, compact and very cost-effective.